After graduating in November 2014, I was open to opportunity. I did several interviews, via Skype, for jobs both on the East coast of Australia and overseas (preferring the dress code of online interviews). I was offered a job at Barton Willmore, a leading UK planning and design consultancy, in their Bristol office beginning April, 2015. The size of the practice and the project work they showcased, drew me to the position. I’ve been employed as an Urban Designer at Barton Willmore now for just over three years, in a team of fifteen. I also interned at RobertsDay before flying out to the UK. In true cliché, I travelled to Europe following my undergraduate degree and was inspired by the great cities. On my return, a bit of research, lead me to AUDRC where I met with Dr. Bolleter, who excited me about studying urban design. The structure of my learning at AUDRC was about developing a research-based methodology and narrative to design, which has driven my approach to practising. This was borne through the process of my two years at AUDRC, beginning with; ‘what is urban design anyways?’ and; ‘who is Kevin Lynch?’, This culminated in the writing of my thesis, which sought to investigate how Fremantle might strategise its urban form against the threat of sea level rise and create a more inviting, resilient and liveable coastline. Additionally, I was given a handle on technical skills that allowed me to contribute immediately as a new member of our design team. View Gareth's Master of Urban Design thesis here. Professionally, I’m inspired by people and projects that aim to progress design thinking. Historically, the planning of cities has been very reactive to technology's advances: Today, there is a growing ambition to harness technology in the pursuit of developing more sustainable living, this is particularly exciting. Maintaining the cliché, I’m also inspired by travel - by discovering how urban design has influenced what makes the great places we visit, so special. Sometimes, it's something that has been with us for centuries, but other times it's a radical intervention, like the boulevards of Paris leading towards the Arc. We’re currently working on an exciting high profile redevelopment site (Newbridge Point) in Poole, Dorset, to provide up to 850 homes and other uses on reclaimed land of a former power station (approx.13ha). This site is set within Holes Bay, the world's second largest natural harbour (after Sydney Harbour). 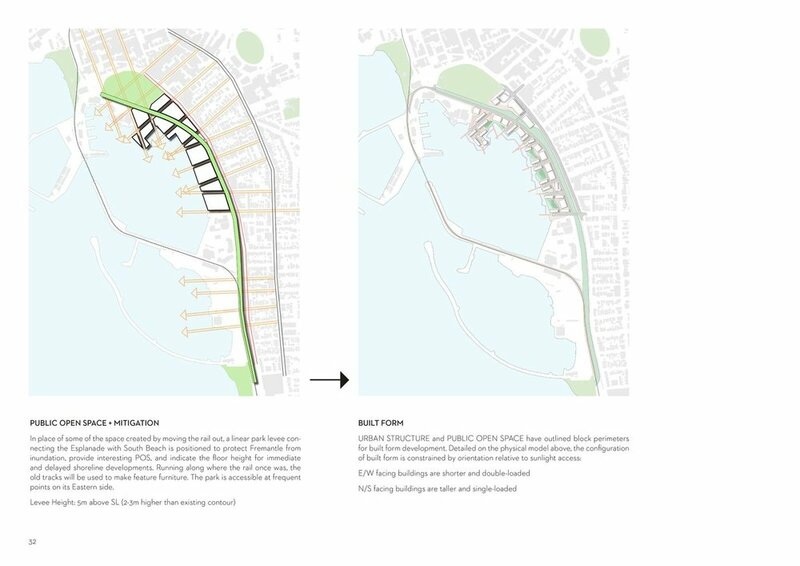 I was pleased to be invited to work on this project as there were parallels to be drawn from my thesis work, including sea level rise management, a sensitive ecological context, and nearby historic assets. 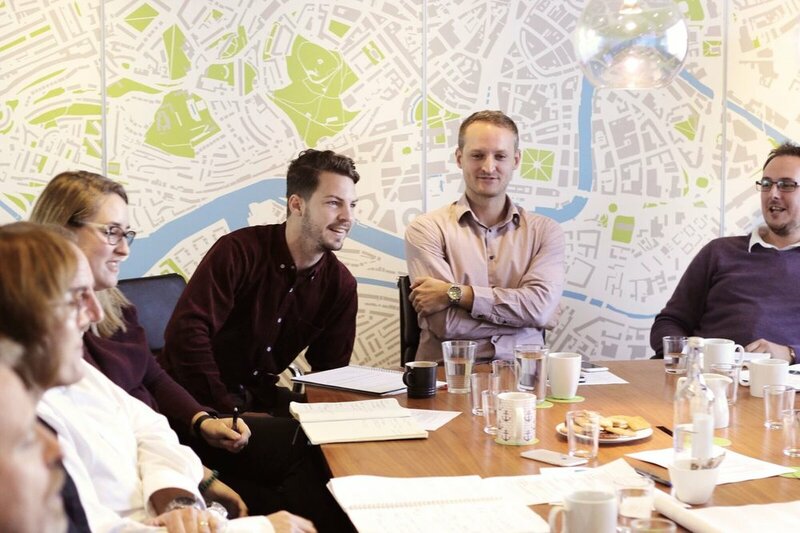 I’m also part of a small team within our office that works to demonstrate the need and the opportunities for higher density development in Bristol, a politically and socially dividing issue. Whilst the idea of urban intensification is generally supported due to rising housing prices, the reality is, that Bristol’s infrastructure is arguably not able to manage it, boasting the title of the ‘most traffic-congested city in the country’, including London. 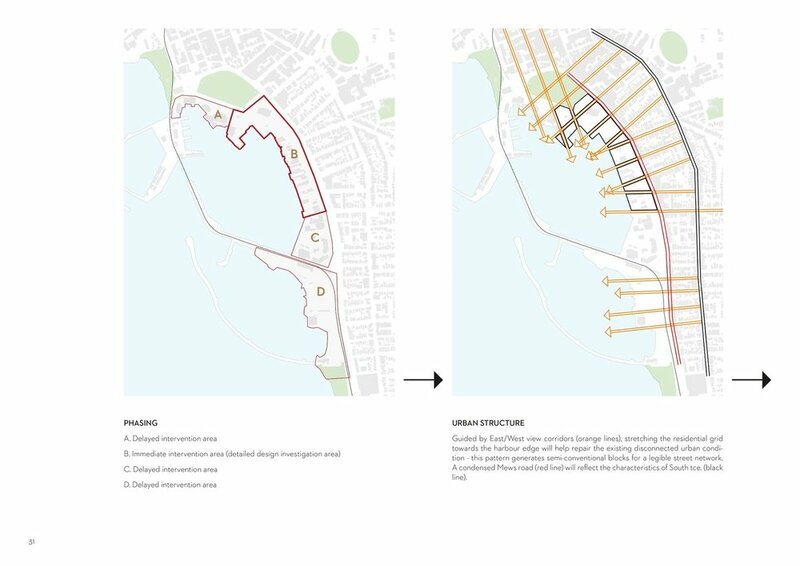 Our investigation aims to identify where and how you might create distinctive, sustainable, higher density neighbourhoods, and importantly, conceiving how they could be delivered. Culturally, taller buildings are regarded as too invasive a solution given the city's historic townscape, while acquisition of larger areas of land for significant intervention is not easily accomplished. That's a tough one... I think Urban Design is the collaborative process of shaping public life, influenced by an understanding of specific contexts and rooted in the ambition of creating meaningful places. I'd like to add my sincere thanks to all the staff at AUDRC, but in particular, to Dr. Julian Bolleter and Dr. Anthony Duckworth-Smith, of whom were incredibly supportive, and also pretty good musicians... The learning environment of the office/campus was so conducive to developing free-thinking designers and I look back at my time there extremely fondly. Gareth Ringrose. Master of Urban Design Thesis. 2014. Key Interventions. Gareth Ringrose. Master of Urban Design Thesis. 2014. Sections. ABOVE: Master of Urban Design Thesis. 2014. Responding to Sea Level Rise in Fremantle, Western Australia. In this century, sea level rise threatens to flood Fremantle’s historic core. This thesis answers the question, how should its urban form strategise against this problem? 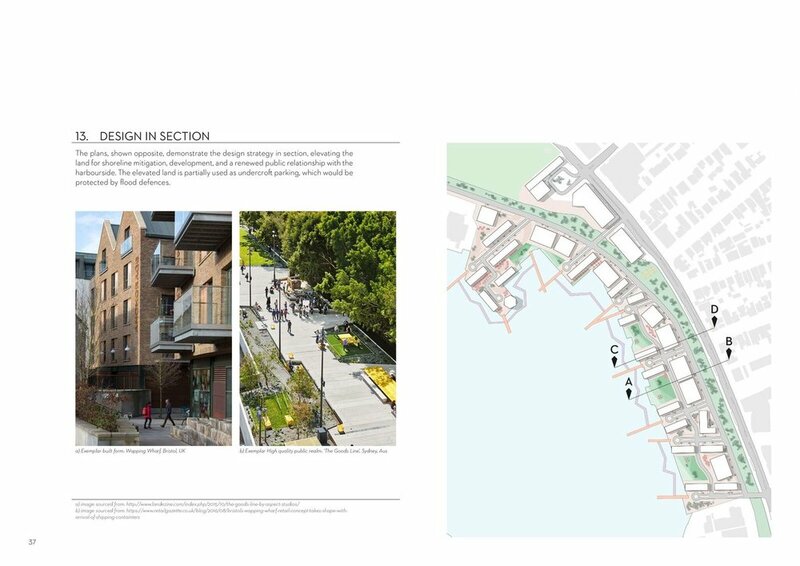 ABOVE: Newbridge Point, Poole, 850-home mixed-use scheme proposal. Quayside Visualisation. 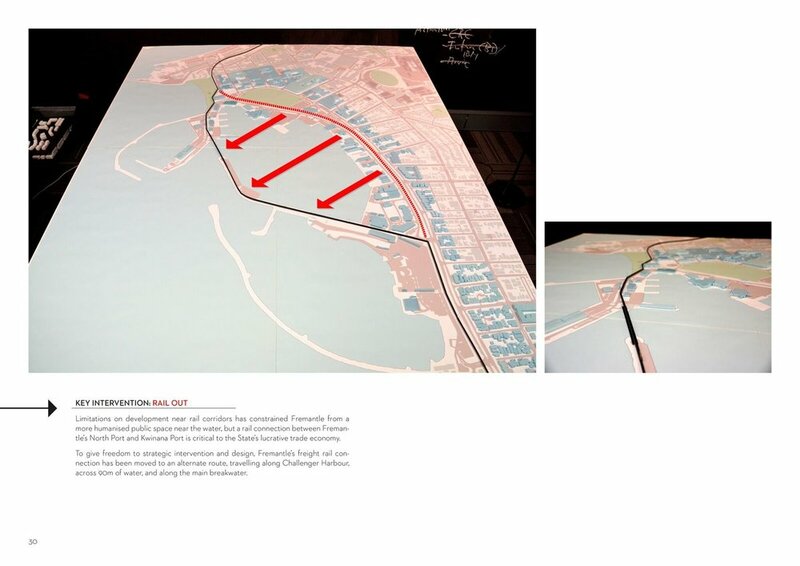 BELOW: Newbridge Point Masterplan and Site Location.